Local fishers objected to the creation of a new no-fishing marine protected area off the coast of Belize in 1996. Today they are benefiting from the bounty of fish spilling out of the Laughing Bird Caye National Park. Tourism has also boomed, illustrating the multiple benefits and value of marine protected areas, according to a new series of reports released Wednesday by Conservation International (CI). “The ocean is in crisis but we can’t see it with our own eyes so we’re not aware of what is happening,” said Leah Bunce Karrer, co-author and director of the Marine Management Area Science Programme at CI. “Marine managed areas offer a solution which could significantly reduce ocean degradation while benefiting local communities,” Karrer told IPS. 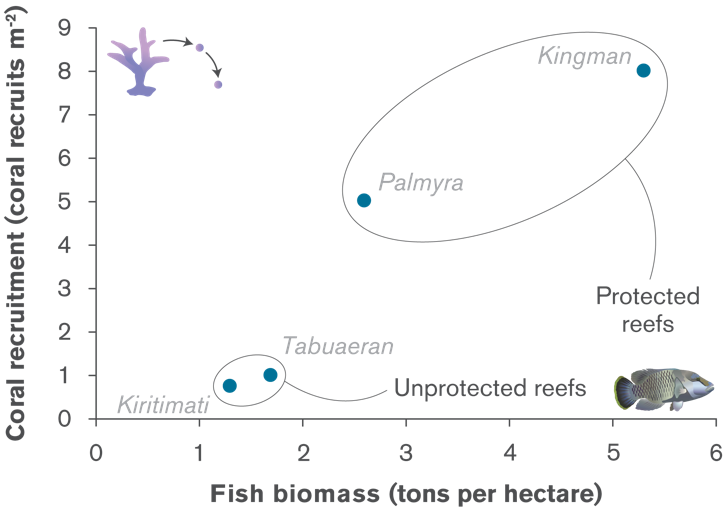 One third of all species of sharks, rays and reef-building corals are facing extinction. “Most people don’t realise that,” said Gregory Stone, chief ocean scientist at CI. “As species disappear, entire ecosystems are altered in negative ways we don’t even want to imagine,” Stone said. Only a fraction of one percent of the world’s oceans are effectively protected even though there is growing scientific consensus of the need to protect at least 20 percent of the seas. In an effort to show that protecting parts of the ocean makes social, economic and ecological sense, CI looked at studies from 23 countries mainly in the developing world and found that Marine Managed Areas result in more fish and improved livelihoods, said Karrer. Marine Managed Areas (MMAs) are defined as multi-use ocean zones encompassing smaller areas, including no-take fishing zones, areas with activity restrictions or areas dedicated to specific uses like ecotourism, commercial fishing, or recreation. MMAs for coastal reefs and mangroves provide coastal communities with protection against storms. They also play an important role in climate regulation since mangroves and sea grasses soak up large volumes of excess carbon dioxide from the atmosphere, Karrer said. However, any suggestion of fishery closures or restrictions is invariably met with hostility and resistance, in part due to a mistaken belief in the endless bounty of the seas and the perception that restrictions simply mean someone else will get the fish. Those attitudes have led to the current situation where overfishing is emptying the oceans and destroying marine ecosystems – killing the goose that lays the golden eggs. Properly managed fisheries could have prevented malnourishment of nearly 20 million people in poorer countries and generated up to 36 billion dollars more in landed value alone, according to a new series of economic studies compiled over the last three years and published in a special issue of the Journal of Bioeconomics this week. These estimates reflect the decades-old reality that overfishing results in a death spiral of fewer and fewer fish. To offer a new perspective, lead economist Rashid Sumaila at the University of British Columbia’s Fisheries Centre and colleagues decided to find out what the potential maximum sustainable yield of the oceans might be. “We wanted to know if there was proper global fisheries management what could be caught,” Sumaila said in an interview. Researchers looked at the global fish catch for the year 2000 and calculated that without overfishing, 20 million undernourished people could have received the vital protein they needed. They also determined that global wild-caught fisheries currently contribute 225-240 billion dollars per year to the worldwide economy. This is the first comprehensive assessment of the economic impact of ocean fisheries and represents an amount that’s about three times higher than the landed value, he said. 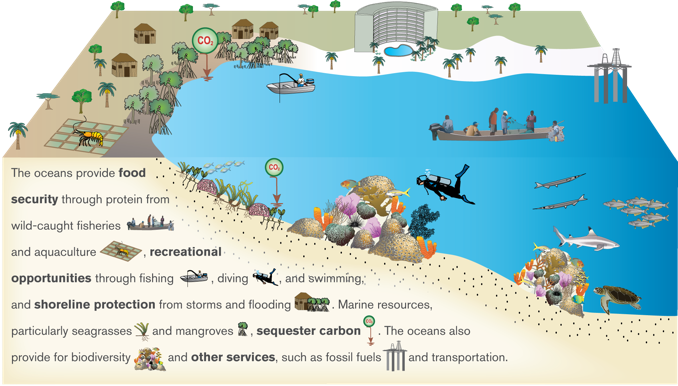 Recreational use of ocean ecosystems by sport divers, whale watchers and recreational fishermen contributes 47 billion dollars each year to national economies worldwide and generates nearly 1.1 million jobs. These relatively low- impact activities are the fastest growing. For example, whale watching tourism has grown 10 percent annually in recent years. “Whether you are looking at fish as a financial resource or a source of protein, our research shows that the benefits of healthy, robust fisheries have enormous value far beyond the fishing dock,” he said. Governments hand out some 27 billion dollars in fishing subsidies every year and the majority of these – 16 billion dollars – lead directly to overfishing, the studies found. “These subsidies are bad for the fish stocks, bad for the economy, bad for food security and bad for the fishing business in the long run,” said Sumaila. However, that does mean there is money in the system that could be turned around to properly manage sustainable fisheries. Maintaining healthy fisheries makes good economic sense but overfishing is “simply bad business”, he said. Local communities are the ones who benefit most from properly managing their coastal marine resources, scientists at CI found in their studies that focused on Belize, Brazil, Fiji, Panama and Ecuador. According to one study, 90 percent of residents of 12 coastal villages in Fiji’s four Marine Managed Areas reported that the MMA also served to protect their traditional livelihood and cultural heritage. Locally managed MMAs are the best form of management if communities are fully committed, says Karrer. 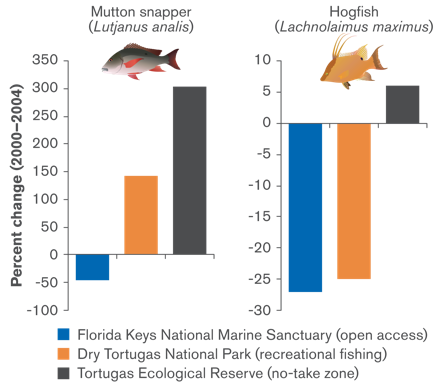 Among the other findings is that MMAs can help depleted fisheries and degraded ecosystems rebound. The Phoenix and Line Islands in the remote Pacific suffered severe coral bleaching in 1997-98. Scientists discovered that the islands that were better protected created an environment which allowed coral reefs to regenerate “with extraordinary vigour”, according to the report. “So the message for coastal communities is this: if you want access to these resources tomorrow, you have to take care of your backyard today,” said CI’s Gregory Stone. First published as: Locally-Run Protected Areas Could Reverse Fisheries’ Death Spiral – IPS ipsnews.net.